In recent years there have been a number of large-scale books on the Valley of the Kings, which have featured some stunning photographs of the royal tombs. This new publication, is, however, a welcome one, for rather than simply a tomb-by-tomb description, this book looks at the wall paintings, describes the funerary beliefs and gives a detailed analysis of the scenes. This approach reveals much about what the pharaohs of the New Kingdom and their families believed and why these scenes were so important to them in their tombs. The photographs are of the highest quality and reveal much more detail than can actually be seen by visitors to the tombs. It is particularly interesting to see some of the scenes from the tomb of Amenhotep III in the Western Valley. This tomb has been closed for many years; the paintings have recently been cleaned and conserved and they are reproduced extensively here for the first time. The book is large, at just over ten inches wide and twelve deep. Many of the colour plates fold out, giving a four page width, ideal to show some of the tomb scenes on a complete wall-by-wall basis. As a consequence, you do need to read this book sitting at a large table. One particulary impressive image to me was a four page spread of the gilded outer coffin of Tutankhamun, photographs of which are rare, as it still lies in the tomb. The book concentrates on tombs in the Valley of the Kings, but a preliminary chapter looks at earlier pyramid tombs. The text is well written and informative and covers how the tombs were constructed and the equipment they once contained. Specific chapters then examine the ancient texts and spells of “The Book of the Amduat”, “The Book of Gates”, “The Book of Caverns and The Book of the Earth”, “The Litanies of Re”, “The Book of the Dead”, and “The Book of The Heavens”. The last chapter looks at how the tombs in the Valley are being conserved and managed today and the prospects for their safe survival in the future. This book is a visual feast, truly a book that can be enjoyed and one that will enhance any future visit to the Valley to see the actual tombs. This book was first published in 1990 and has been reprinted in this version, at a very reasonable price, to coincide with the exhibition of treasures from the Tomb of Tutankhamun and the Valley of the Kings to be held in London later this year. 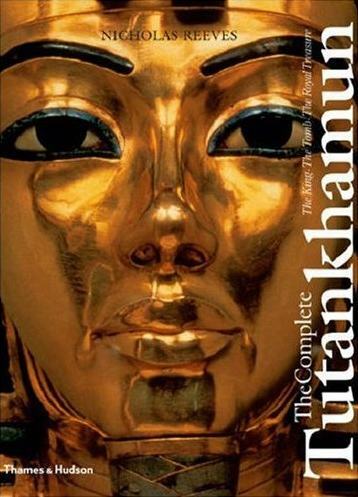 The contents of this excellent volume are exactly what it says on the cover and I have never had any hesitation in telling anyone who is looking for a good introduction to Tutankhamun that this is the one book to get. It provides a sound background to the life and times of Tutankhamun and to the discovery of the tomb in 1922. It is illustrated with excellent colour photographs of many of the objects and also with the superb blacka n d - w h i t e images taken at the time of the discovery; readers can marvel at the discovery and also at the wide range of objects buried with the king. It is, however, a shame that the publishers did not take the opportunity to allow the author to revise the text in the light of new research and discoveries since 1990. I refer in particular to the recent CT scan and examination of the mummy of Tutankhamun, which to some extent invalidate some of the information in the 1990 text. However, if you do not yet have a copy of this book, then the opportunity to obtain one should not be missed. 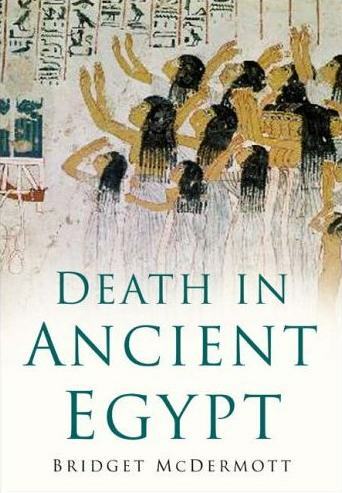 It would appear that the ancient Egyptians were fascinated and pre-occupied with death, although it would seem to be our own fascination with the subject that means that books on this subject are always popular. This new book covers a great deal of ground, although, because of this, it can only touch lightly on some aspects; but it is a useful introduction to the subject. 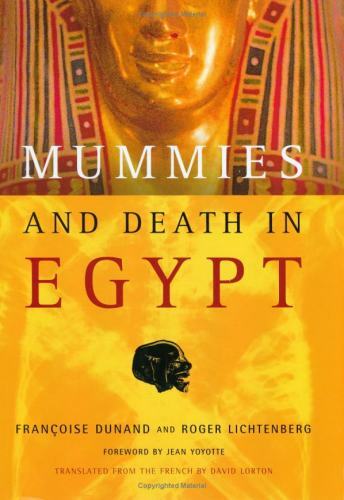 The author looks at life in Egypt and at the ailments from which the ancient Egyptians suffered, before looking in general terms at the evolution of tomb design, for kings and commoners, at funerary temples and burial equipment, and then at the mummies themselves and the cult of the deceased. The book is well illustrated, although several of the images do not necessarily fit in with the text, and a few are not quite in focus. Published by Sutton Publishing, 2006. The fascination with mummies continues ... . The authors have divided this book into two parts. In the first section, Françoise Dunand looks at why and how mummies were made, looking also at tomb goods and religious practices. A section deals with animal mummies. This part of the book may well be fairly familar ground to most readers, but there are many interesting images of mummies, especially from the Roman Period, found at Kharga Oasis in the Western Desert. The second part of the book, written by Roger Lichtenberg, looks in some detail at modern scientific research on mummies. Lichtenberg draws together research and studies undertaken around the world, but also much of his own, which has involved the use of portable X-Ray equipment, which enables on-site investigations of mummies to be made. The results are fascinating and reveal diseases and accidents from which the ancient Egyptians suffered. This section, too, is filled with many mummy images and X-Ray views, although it is a shame that the quality of the paper and printing mean that some of the photographs are not perhaps as sharp or as crisp as they could be. Published by Cornell University Press, 2006. ISBN-10: 0801444721. ISBN-13: 978 0 8014 4472 2. It is surprising, perhaps, that relatively few books out of the many published on ancient Egypt deal with the early years of the civilisation. As the author of this new book rightly points out, it is only by looking at the formative years of the ancient Egyptian civilisation that some of the fundamental and fascinating aspects seen in later years can be fully understood. The author shows how archaeology has revealed much information to us and at how, and where, much of this information has been gathered. A chapter on the Egyptian environment reveals that the nature of the ancient civilisation owes much to the physical environment that the ancients inhabited. If we understand the environment and how it was used and viewed by the ancients, then we are a step closer to understanding the ancient Egyptians. Chapters then follow in chronological order, leading us into the Early Dynastic period and setting the scene for the first great flourish of the civilisation, the Old Kingdom. Published by Pearson Longman, 2005. In the December issue, we mentioned a special exhibition in the Egyptian Museum in Cairo on Lepsius, which ended in February. I just managed to see it in its last few days, but if you missed it, then the next best thing is this excellent catalogue. 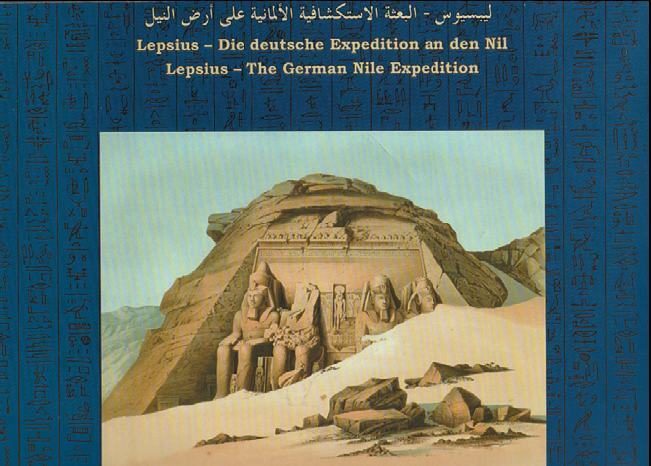 Written in Arabic, German and English (which must have been a challenge for the author and publishers) the book introduces the reader to the work of Karl Richard Lepsius, who visited Egypt from 1842 to 1845. He travelled the length of the country, and whilst he had many adventures on his trip, which he recorded, he was one of the first to set out with the express intention of learning as much about ancient Egypt as he could. To this end, he spent many years before his trip visiting the major European collections of Egyptian objects and studying the subject extensively. Following this, there is the catalogue of the exhibition, chiefly displays of Lepsius’ stunning drawings, paintings, plans and notes. The quality of his work is truly amazing. He was travelling in an age just before photography and his attention to detail is remarkable. His drawings and notes remain a valuable resource for scholars today and, until now, have not been easily accessible or published other than in German. Copies of the book (at a very good price) can be bought in the Egyptian Museum in Cairo: not in the bookshops on the left of the entrance passage (which do not belong to the museum) but in a room just to the right of the X-Ray machine, often obscured by the queues! Interestingly, the book reads from back to front, as in Arabic books, which confused me for a brief while! Published by Staatliche Museen zu Berlin, 2006. ISBN: 10 3 88609 549 5. 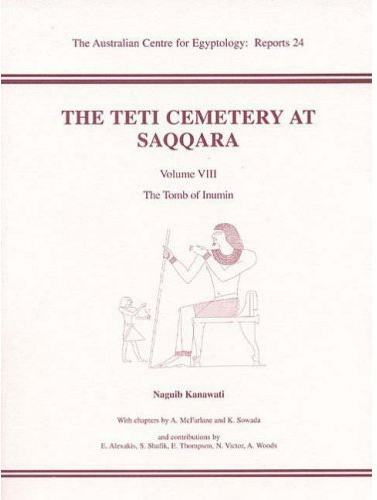 This is one of a series of publications on some of the Old Kingdom Tombs near the Pyramid of Teti at Saqqara being excavated and conserved by the Australian Centre for Egyptology.  As an excavation report, it may be more detailed than many readers might need, but the report is well written and contains a wealth of information. 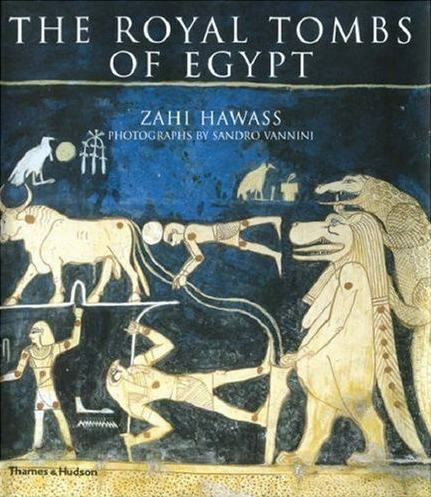 The book is illustrated with excellent photographs, most in colour, which show that the quality of art in some of the smallest tombs at the site is every bit as good as (and possibly even better and better preserved preserved than) that of the larger nearby tombs, such as Kagemni and Mereruka. Published by Aris and Phillips Ltd, 2006. Ancient Egypt has inspired and enchanted artists for the last two hundred years. 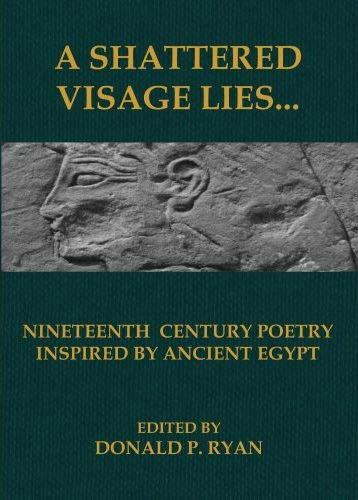 This is the first collection of nineteenth century poems inspired by ancient Egypt, collected by Egyptologist Donald Ryan. The well-known poem by Shelly “Ozymandias” is of course included, as are a number of other poems on the theme of shattered temples and statues. Poems are grouped together under headings such as “Ruins” and “Artifacts”. One poem included has the title “To a Pair of Egyptian Slippers” by E. Arnold. This is a well produced little book which will appeal to the poets amongst our readers. 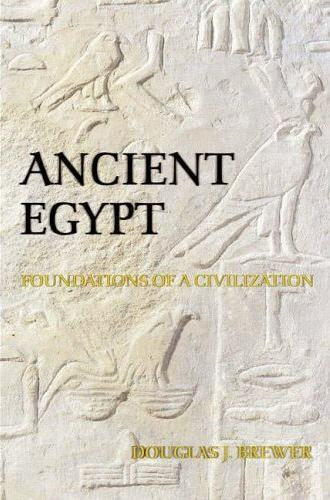 It is nicely illustrated with nineteenth century views of Egypt and the monuments.